Animal road accidents are always a concern, but more so when the foals are born in spring. This week (April, 2017) the subject of animal accidents on the Forest roads has been very much at the forefront of my mind. I’ve been watching with interest the comments on various social media forums, reading newspaper reports, listening to radio broadcasts, and attending meetings where the subject of speeding cars, hit-and-runs, and the toll of livestock inevitably surfaces for discussion. As I go about the Forest and see the in-foal mares who will soon be giving birth to the next generation of free-roaming pony I sigh deeply and hope that ways to address the situation can be found – and soon. I say ‘ways’ because this is a problem that has multiple causes, including visitors feeding the ponies in the car parks and on the roads; drivers speeding; and, drivers not paying attention or not driving according to the road conditions. Therefore it is an issue that will need multiple solutions, such as discouraging the unauthorised feeding of the ponies; making the road surfaces lighter in colour in order to make animals on the roads, particularly at night, stand out more; perhaps returning some of the roads to gravel tracks, to slow drivers down and make them drive with more care; and even reducing the speed limits or closing some roads between dusk and dawn. These solutions would be much more preferable to that of fencing the Open Forest roads and installing road-bridges for the animals to cross, as has also been suggested. There are, it has been offered, even technological solutions that may help in the future, such as driverless cars and cars that can warn the driver of nearby ‘obstacles’, such as animals in the road, but these are a long way from being perfected. There are also environmental ways of helping to solve the problem. One such ‘green solution’ uses the stream and wetland restoration works, which reinstate the natural functions of the Forest’s catchment system. Many of the Forest’s mires and streams were damaged by the man-made drainage channels, which were installed for timber production in the 19th and 20th centuries. 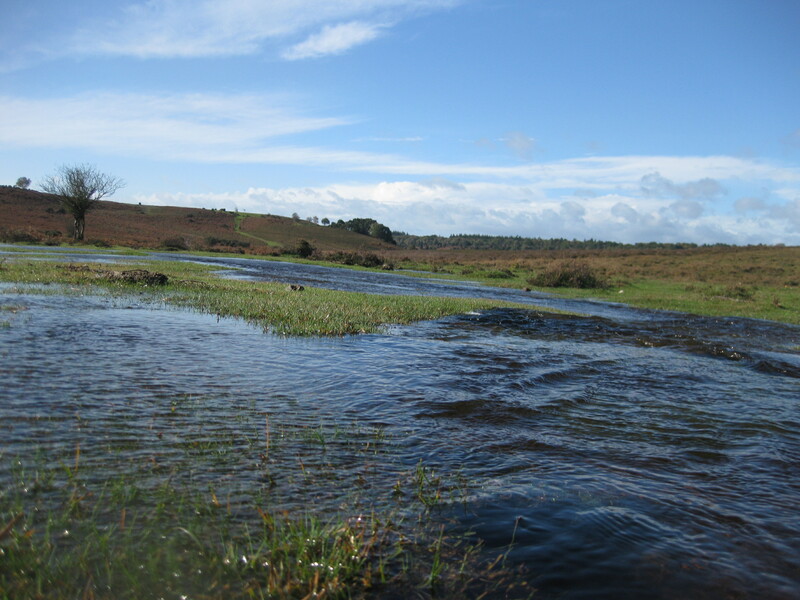 Although reducing animal accidents is not the main reason for undertaking such restoration work it does seem to have some very beneficial outcomes for the animals of the New Forest. Wetland restoration improves the grazing by allowing the natural cycle of flooding to return, which covers areas with nutrient-rich water. This action provides an important source of grazing for commoners’ animals, particularly in the early spring when the first flush of growth precedes the growth of most grasses. This means that the animals stay in the valleys to graze for longer periods, keeping them away from the roads and dangers of the traffic. The responsibility for reducing the rate of animal accidents is shared between all of us who use of the Forest roads – although many organisations, communities, and road-user groups do undertake initiatives to address the problem. Fortunately, there has been a reduction in the overall numbers of animals killed or injured on the Forests’ roads, and the trend continues downwards, but many would argue that one death is a death too many, and that we must not become complacent. The free-roaming livestock have right of way on all roads, and must be given priority. 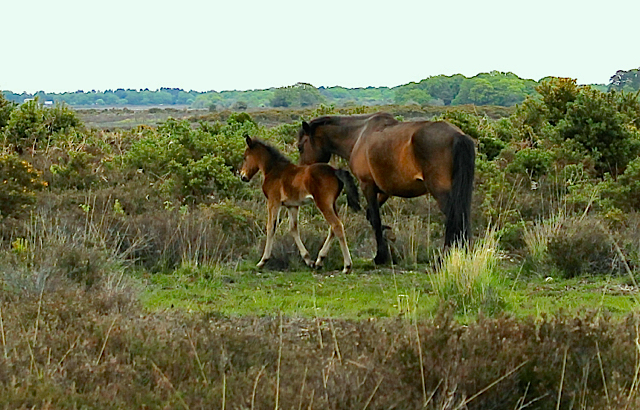 The commoners’ animals that roam the New Forest are an intrinsic and vital part of its alluring landscape. The sight of ponies, cattle, donkeys, pigs and, in some areas, sheep, is one of the many joys of visiting the New Forest. The reduction of animal accidents is, therefore, part of a wider scheme to improve the New Forest environment to the benefit of all. Safer roads for ponies are safer roads for all. In the meantime the campaign to raise awareness and implore drivers to stay under the 40-mile an hour speed limit continues. Flood water carries nutrients, which enriches the grazing for the New Forests’ livestock. NB: This link contains an ‘Animal Accident map’, by species, between 2011-2015, showing were collisions with livestock have occurred. This entry was posted in New Forest, New Forest Animal Road Traffic Accidents and tagged accidents, animal, car parks, catchment, cattle, donkeys, drainage, drivers, environment, feeding, flood, grazing, landscape, New forest, nutrient, Open Forest, pigs, restoration, river, roads. ponies, sheep, speed limit, speeding, stream, timber, traffic, water, wetland. Bookmark the permalink.